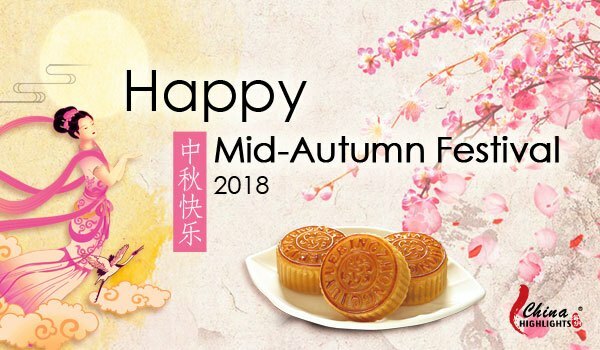 Do you still associate the Mid-Autumn Festival with traditional mooncakes? Do you want to know more about what Chinese people do nowadays during the Mid-Autumn Festival? The rapid development of China&apos;s economy has improved people&apos;s living standards. 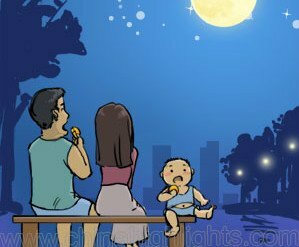 In the past, people usually stayed at home during the Mid-Autumn Festival to have a reunion dinner and to worship the moon with their family. Now, however, people like to travel during their holidays. Traveling abroad has become more and more popular. 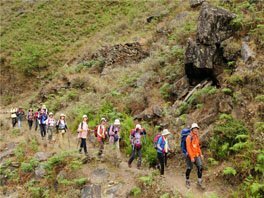 Chinese people are inclined to travel in groups and shop generously. A Chinese billionaire took 6,400 staff members on a four-day holiday to France to celebrate the 20-year anniversary of his company. It took 147 buses to transport the tourists from their hotels to the Promenade des Anglais in Nice, where officials from Guinness World Records were on hand to validate the world&apos;s biggest ever human chain. The group was expected to spend 13 million Euros in Paris. Traditional Chinese family values always highlight reunions and family relationships. So, in former times, people would visit their relatives and friends during the Mid-Autumn Festival. Usually, the children would receive red envelopes from their elders. Now, the most popular custom is to distribute WeChat red envelopes to families and friends. A WeChat red envelope is a mobile application developed by the Chinese technology company called Tencent. It is now one of the largest stand-alone messaging applications in China. The application offers users the ability to provide money in the form of virtual &apos;credits&apos; to other users of the application. 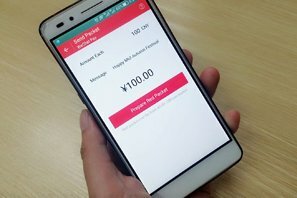 There are two types of &apos;red envelopes&apos; offered by the app: the &apos;regular red envelope&apos; as well as the &apos;red envelope lucky draw&apos;. The latter allows the user to assign a lump sum to a red envelope comprised of a group of smaller red envelopes within it. The &apos;grouped&apos; red envelopes can then be posted to a group chat and the application randomly assigns the amount in each envelope to each recipient. How much you can receive depends on your luck and your speed in accepting the "envelopes". 3. Creative Mooncakes — There&apos;s One for Every Taste! There is an old Chinese saying that "food is the first necessity of people". 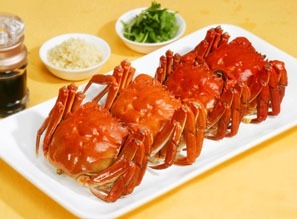 Chinese people always have a natural creativity and talent for food. Even an ordinary housewife could master dozens of methods to cook tofu. With people&apos;s innovative spirit, various flavors of mooncakes are emerging in an endless stream. No Flavor is Off Limits! 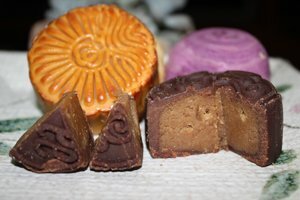 According to a ballot of Chinese netizens, the three strangest mooncakes are: chocolate mooncake with spicy beef filling, mooncake stuffed with braised pork and preserved vegetables in soy sauce, and bamboo charcoal mooncake. You can also make your own style of mooncakes to suit to your preferences. 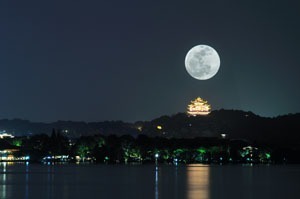 Similar to the Spring Festival Gala, the Mid-Autumn Festival Gala is also a must-see for millions of people across the country. People used to watch the Mid-Autumn Festival Gala with their families after dinner. But now the most attractive type of program for young people is live video streaming. A popular form of live streaming involves charming and chirpy young ladies. They sing, dance, and talk, engaging their audience via personal computers and mobile phones. The host will be able to have live interaction at any time. These Internet celebrities are usually admired by netizens for their beauty or versatility. In Chinese, people call them Wang Hong, which means ‘someone who has become famous due to the Internet&apos;. They have a huge fan base on social media, and these fans will send presents to their idols or buy many products from the celebrities&apos; online stores to show their support. Most Internet celebrities receive many advertisement invitations from different brands. It&apos;s hardly surprising that some famous Internet celebrities in China could earn hundreds of thousands of yuan in a year.